The highest bid doesn’t always win the house, but why? 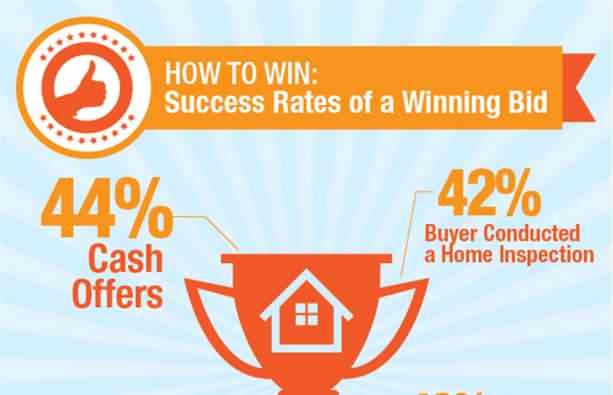 We used a pool of 10,000 competitive offers to see what strategies are most successful. What topped the list? Find out now! Would you be willing to pay $640 for the pricey yet ultra-lux Sferra Milos Egyptian Cotton Sateen sheets, or would you splurge $2500 for a set of sheets made with gold and silk jacquard? Is it even worth it? Thread counts are measured per square inch both horizontally and vertically; if a manufacturer packs in a higher amount of thinner threads into that square inch, they can get away with giving you the same amount of fabric with a higher thread count and for more money. But value, much like beauty, is in the eye of the beholder! Last year sales of luxury homes soared in a record 3/4 of the country - but why? Could it be the stock market hitting new highs (even though the Loonie has dropped in value), the fact that consumer confidence has resurged and that new construction is finally catching up with demand? There’s coffee and then there’s coffee. Those of us that know the difference between that $10 bag of questionable “fair trade” coffee and the good stuff know that it’s worth its weight in gold - and some of us are even willing to pay upwards of $600 for a half a kilo of the good stuff! Each year brings its own challenges, trends and expectations; just two years ago everyone was working hard to get stainless steel appliances (still somewhat desirable) and granite countertops (frowned upon) to meet demand, but what was popular then isn’t so popular now. While everyone loves the shine of stainless steel, they don’t like keeping it clean. Granite has become pedestrian and more homebuyers are flocking to the exclusivity of marble instead.